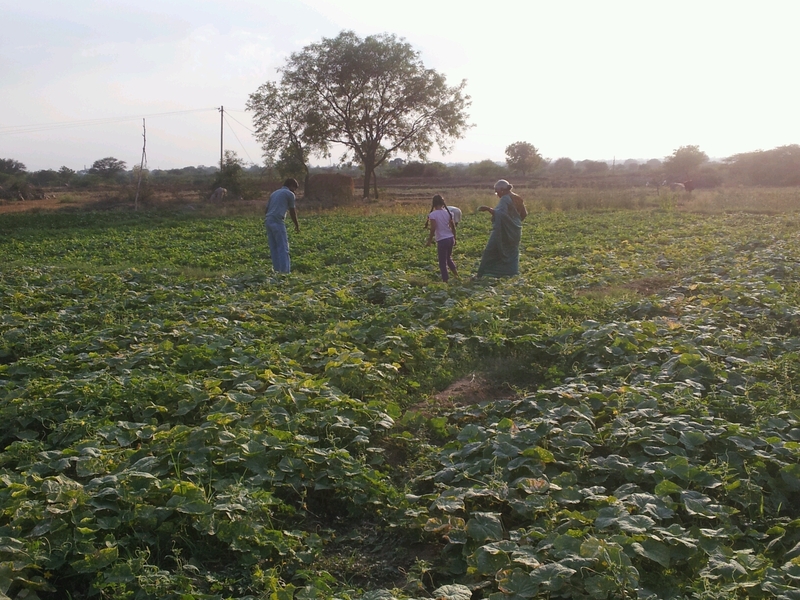 Mom, Sis, BIL ,niece and I went on a long drive to Shabad from Kukatpally via ORR. We took the right at APPA junction on the ORR and drove towards Moinabad . Took left turn there. 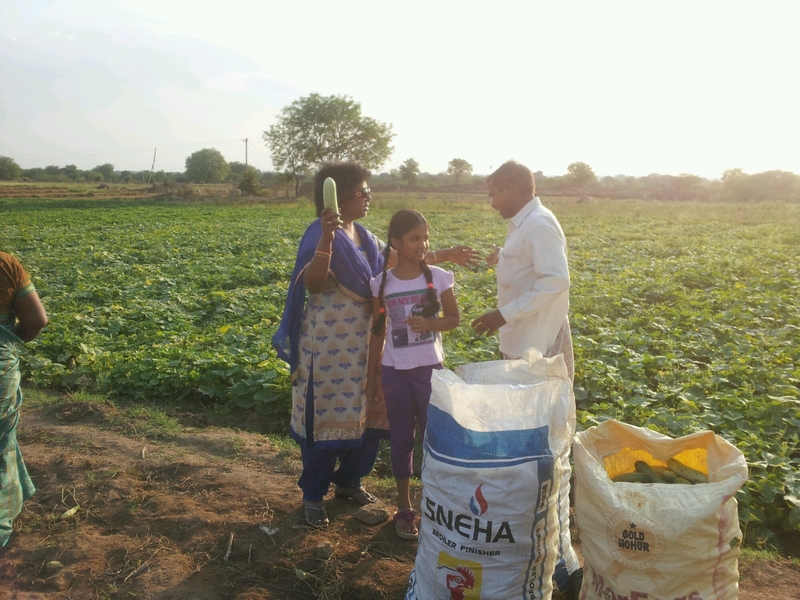 We wanted to check out agricultural land in the area between Moinabad and Shabad. 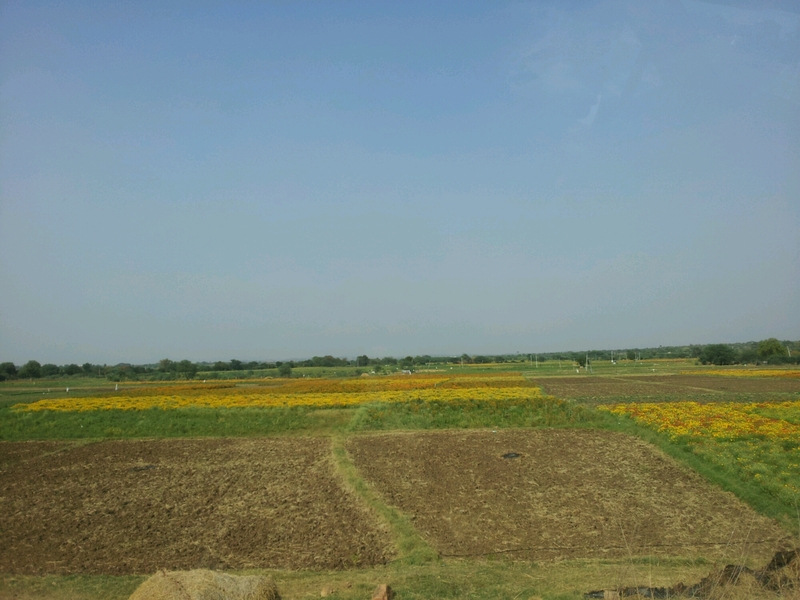 We came across beautiful fields with flowers.Didn’t expect to see any vegetation at all as it is peak summer here in India. We also passed by several polyhouses. We stopped at a vegetable field and were thrilled to see cucumbers, beans, ladiesfingers etc. On seeing us the caretaker approaced us and agreed to sell some produce to us. 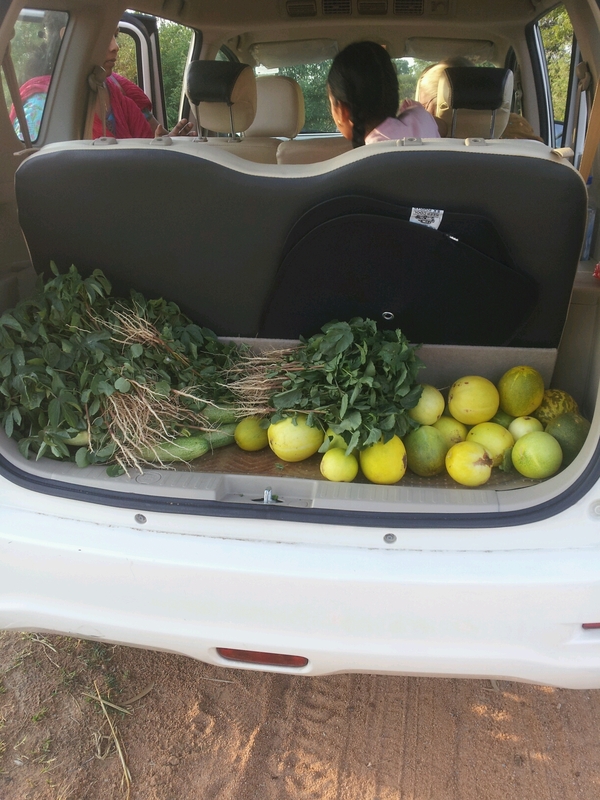 Dumped some veggies in the car dikki. Everyone enjoyed eating the cucumbers at the field. The temps were too high. Also came across peacocks roaming in the vast open grounds. After the veggies break , we drove to Shabad . Checked out a few more bits of land around Shabad we drove towards Chevella and then back towards ORR. Came across many more polyhouses on the way back but it was getting dark and we planned to visit them some other time. Categories: Uncategorized | Tags: Chevella, Long drive, Moinabad, Shabad | Permalink.